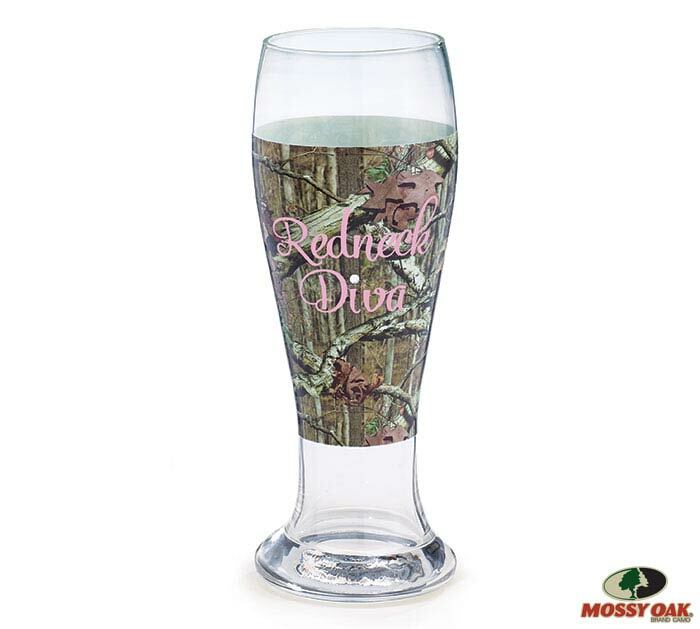 Mossy Oak camouflage pilsner glass with "Redneck Diva" in pink and gemstones. 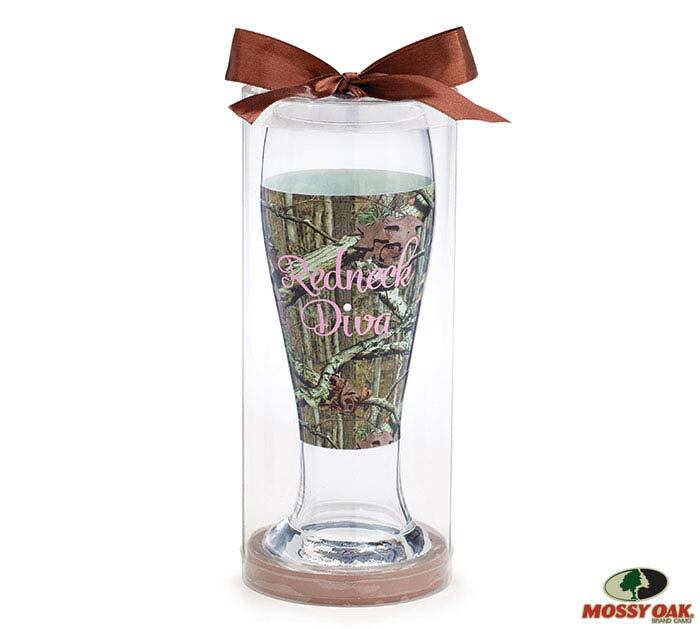 Each glass comes in a clear acetate box with a bow. Handwash only. 9" H x 3" Opening. Holds 22oz.